Fireplaces are warm, cozy sources of heat and illumination. Whether you have a fireplace in your living room, bedroom, study or any other room in your home, you have surely noticed its tendency to draw visual attention and become the centerpiece of your room decor. Sometimes, a fireplace can be so overpowering it is difficult to decorate the rest of the room well. Other times, you may fail to take advantage of the opportunity to make your fireplace look its absolute best. These three simple ideas for decorating your fireplace can be used alone or together to bring your room to life and give your fireplace the spotlight it truly deserves. 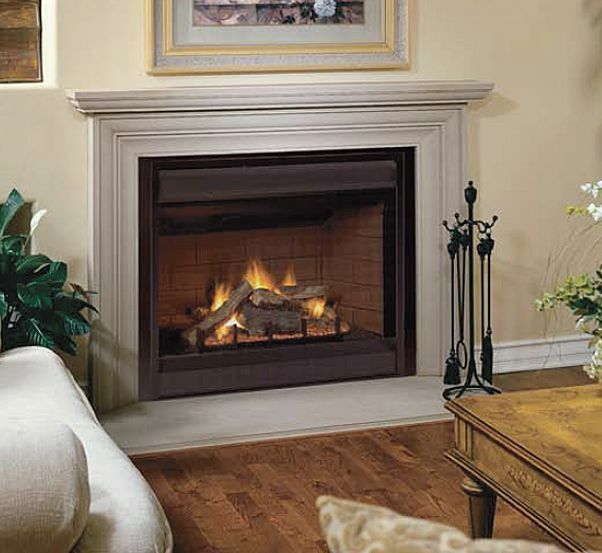 While the aesthetic of a fireplace is generally a pleasant one, in reality, a fireplace that is used frequently can become dirty, smoky or grimy. Wood-burning fireplaces can even send clouds of soot and dust all over the room, requiring you to perform more frequent and thorough cleaning to keep your home spotless. You can effectively reduce the problem of fireplace debris, hide a less than perfectly cleaned hearth from view and add a delightful decorative touch with the easy installation of fireplace doors or screens.Fireplace Doors are available in styles and colors to suit any fireplace in any home. Doors are simple to install and require very little maintenance over time. Best of all, they are a fast and affordable way to give your entire fireplace a facelift and breathe new life into your room. While a well-maintained fireplace is a decorative element in its own right, it also removes your access to a great deal of wall space that could be used for placing furniture or hanging artwork. Sometimes rooms with fireplaces can be difficult to arrange and decorate simply because the fireplace itself takes up such a significant amount of space. By adding a decorative mantel along the top of your fireplace, you give yourself additional storage and display space for photos, knick-knacks and other small items. Mantels can be made of wood, stone, composites or any number of other materials. They are available in sizes to suit any fireplace and colors and designs to suit any decor. A mantel can be the perfect place to display just a few treasured items in a position of prominence, allowing you to maximize your decorating efforts despite your reduced wall space. Accessories such as pokers and log holders can give your fireplace a bit of flair and personality. Visitors to your home will be aware your fireplace is not merely for show, but an integral component of your home's functionality and aesthetic sense. Accessories can be made of materials and available in colors to complement your existing designs or to add a highlighted splash of color in an otherwise unused space.